An accomplice of one of the men behind the 2015 Paris attacks faces fresh charges for his role in the attacks on Brussels Airport and subway station in 2016, Belgium prosecutors said Friday. 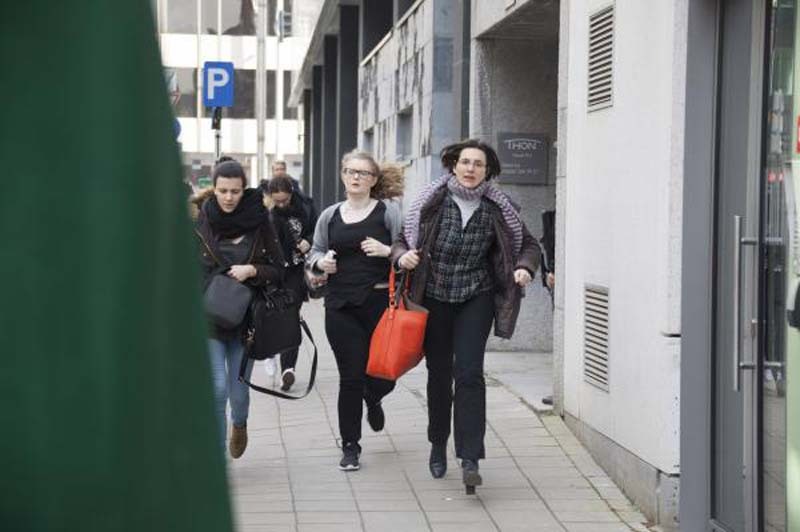 Prosecutors charged Sofien Ayari, 24, with "participation in the activities of a terrorist organization" for allegedly helping plan the March 22, 2016, bombings of Brussels Airport in Zaventem and the Maalbeek metro station in Brussels. Thirty-two victims and three perpetrators died in the attacks. Police arrested Ayari on March 18, 2016, while he was in hiding with Salah Abdeslam, the only living suspect from the 2015 Paris attacks that left 130 people dead. Each of the men were sentenced to 20 years in prison in April for engaging in a gun battle with Belgian police during an earlier attempt to arrest them in Molenbeek. Belgian prosecutors have indicted 10 people for the 2016 attacks, including Mohamed Abrini, identified by a black hat in surveillance footage, who took a suicide bomb to Brussels Airport but left the building before it detonated. Ayari arrived in Brussels in the summer of 2015 after traveling across the Mediterranean Sea from Tunisia as part of an influx of migrants into Europe at the time. Prosecutors said he joined a terror network that included nine safe houses and two bomb-making shops in Brussels. "Investigations are evolutionary," Eric Van der Sijpt, a spokesman for the Federal Prosecutor's Office, said according to The New York Times. "It took us two years to put all the different bits and pieces together and decide that we had enough evidence to charge him in relation to the Brussels attacks." Ayari, during his trial earlier this year for the police shootout, downplayed his role in the terror network.